Covering an area of about 6,600 mu (440 hectare), the Wuxi New District (WND) New Energy Industrial Park is functionally split into more than seven sectors, namely the New Energy Innovation Service Center, Living Supporting Sector, Solar Battery and Battery Packs Production Sector, New Energy Materials Production Sector, Auxiliary Products Production Sector, Public Greenland. Featured by the development of new energy materials, equipment and applications, the industrial park features the manufacturing of products covering the whole industrial chain of the photovoltaic industry, such as photovoltaic silicon wafers, solar batteries and battery packs, photovoltaic equipment, key main and auxiliary materials, photovoltaic and photo-thermal products and systems engineering products. 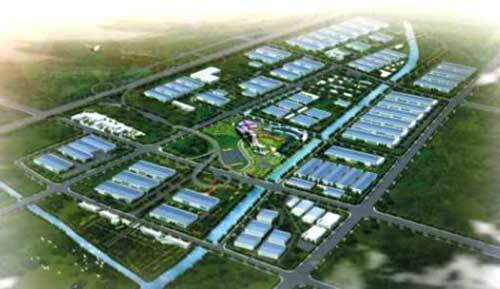 The park bears the mission of helping shape an integration of R&D, logistic, detection, exhibition and training.